The restorative powers of soup are legendary. Curing a cold with chicken soup is one of the original ‘old wives tales’. Regardless of the lack of science behind the power of soup to make us feel better, I am a big believer. Soup is also a great way to use up random vegetables that have seen better days but are still lurking in your refrigerator bin. Just dice them up and cook them in a pot of broth with a few herbs and spices and (unless you’re making the broth from scratch) in a surprisingly short time you are rewarded with a steaming pot of rich and flavorful soup. 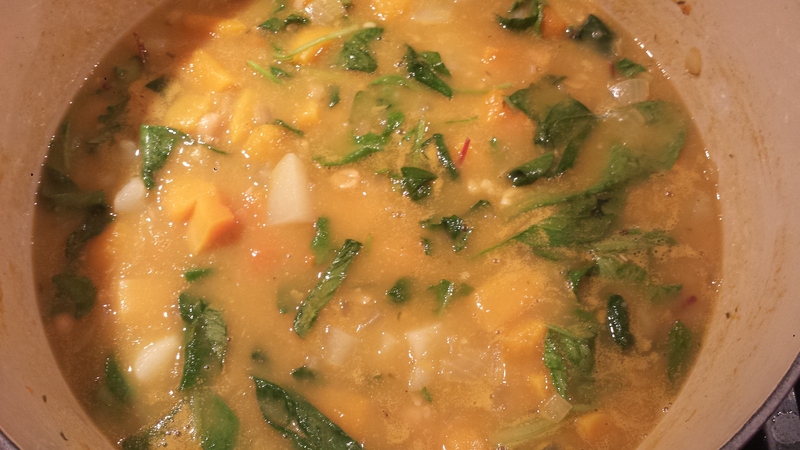 I had some leftover butternut squash, which I simmered with onion, garlic, potato and garbanzo beans until soft. Then I stirred in a couple of handfuls of power greens. Yum! 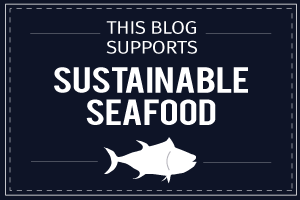 Soup is great on it’s own but I love specialty toppings. 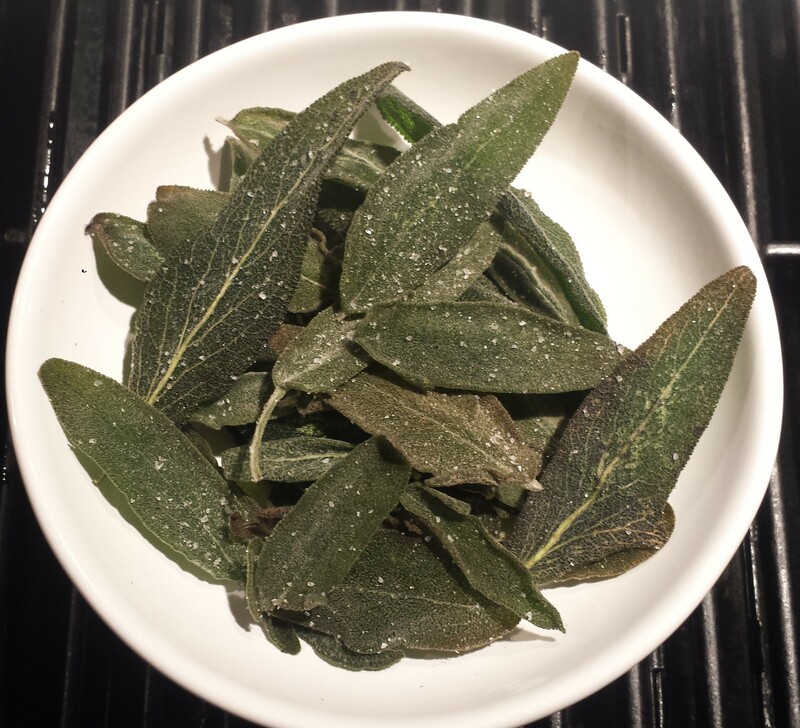 This time I made crispy fried sage leaves which add an earthy, crispy and salty garnish that offsets the mildness of the soup.. It’s very easy. 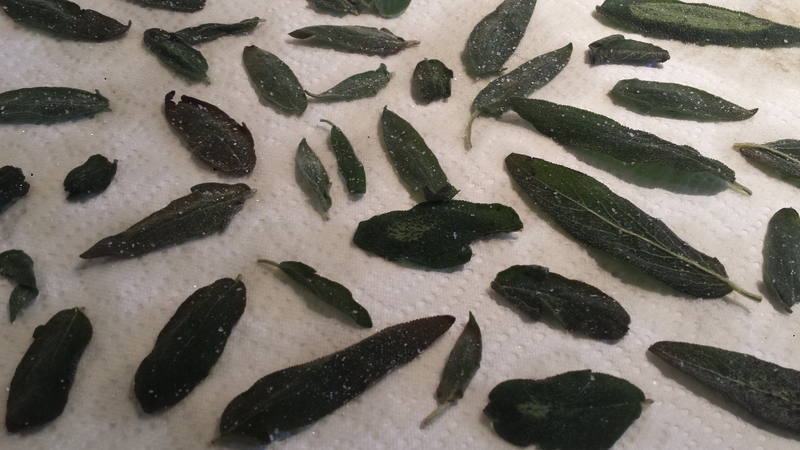 Just fry fresh sage leaves in olive oil for a few seconds, lay them on paper towels to drain and sprinkle them with coarse salt. I have already waxed poetic about the goodness of butternut squash in my last blog post, Butternut Squash, Leek and Apple Gratin so check it out if you want to hear all the glories of this popular veggie. Today I’m going to talk about potatoes. My husband has an irrational fear of potatoes. He eats around them like a little kid avoiding peas, but I can tell he secretly wants to run screaming from the room when I serve them. Potatoes get a bum rap. There is no reason to be afraid of them. Yes, they are carbs but healthy carbs not empty ones. Potatoes are good for you and loaded with nutrition. The potatoes we have to worry about are the ones loaded with butter, sour cream and bacon! Potatoes are fat, sodium and cholesterol free, good sources of vitamin B6 and iron. One medium potato has more vitamin C than one medium tomato and more potassium than a banana. If that doesn’t convince you that potatoes won’t make you fat are good for you, then substitute another root vegetable like turnip, rutabaga or parsnip. Or you go even heartier by substituting a quarter to a third of a cup of wild rice to cook along with the squash. Sauté the onion and garlic in the olive oil large pot over medium heat about five minutes, or until the onion is translucent. 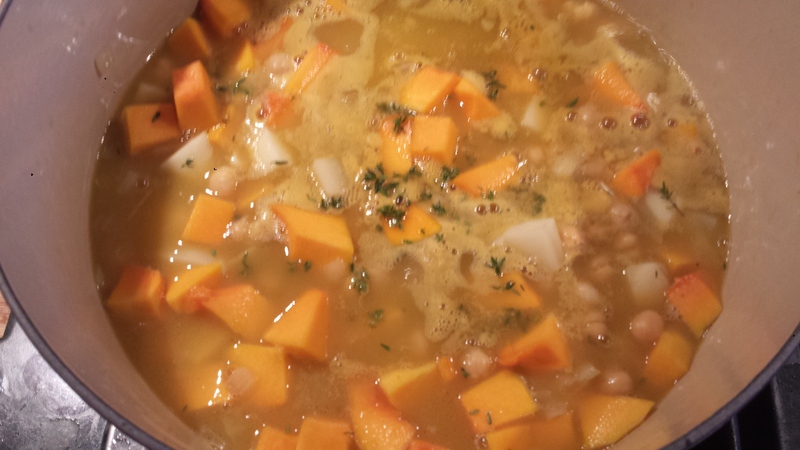 Add the butternut squash, potato, beans, thyme and vegetable broth. 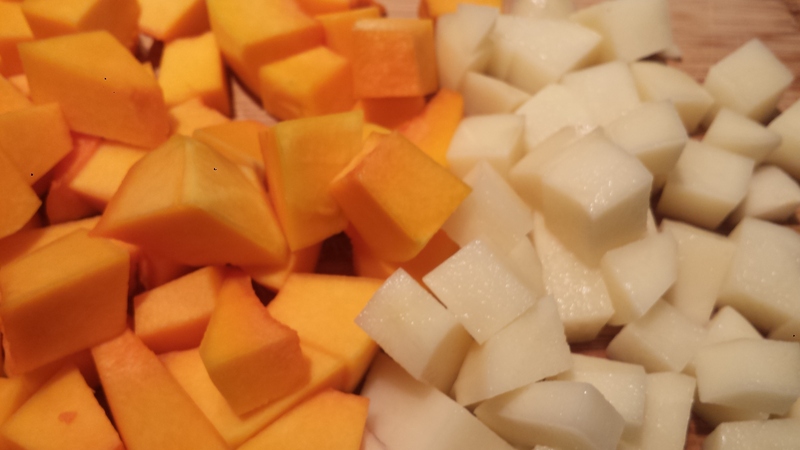 Cover and simmer over medium-low heat for 20 to 25 minutes, or until the potatoes and squash are fork tender. Add salt and pepper if needed. For more seasoning, add a pinch or turmeric and/or allspice (optional). Five or ten minutes before serving stir in fresh greens and let wilt, several minutes. 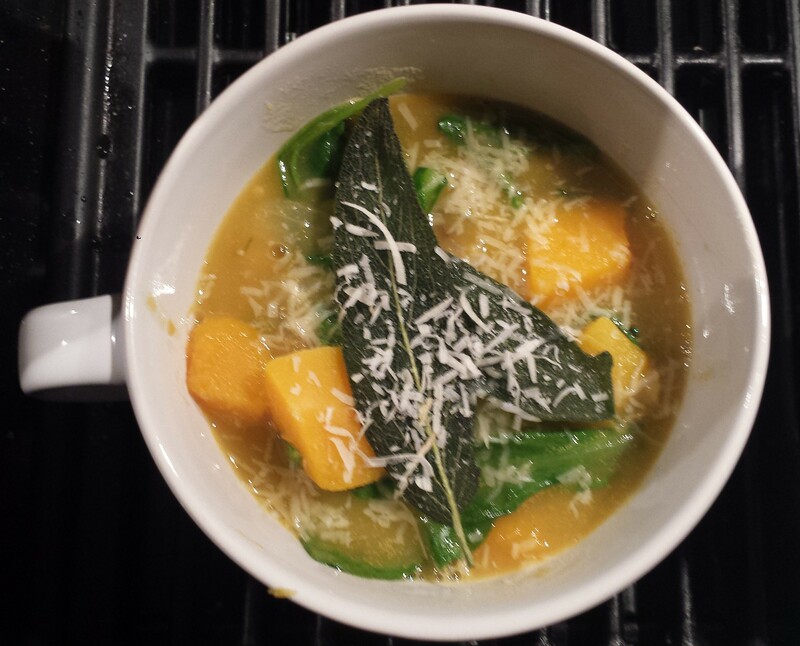 Serve topped with fried sage and grated parmesan, if desired. 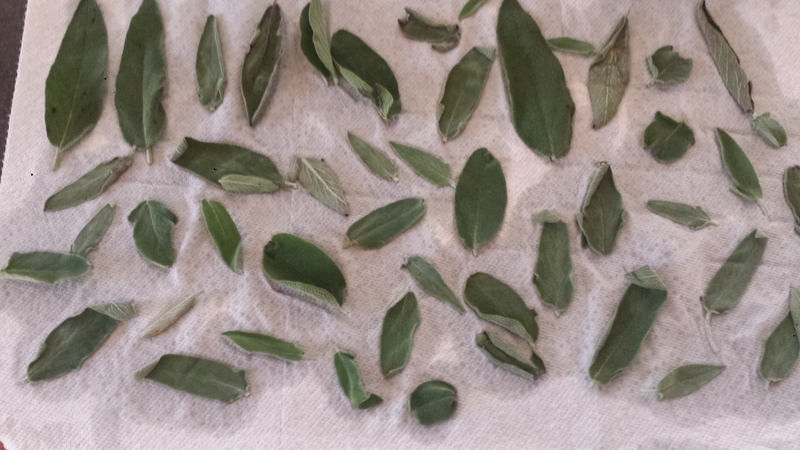 Remove leaves from sage, rinse and pat dry. Heat oil in a small skillet over medium-high heat until hot. 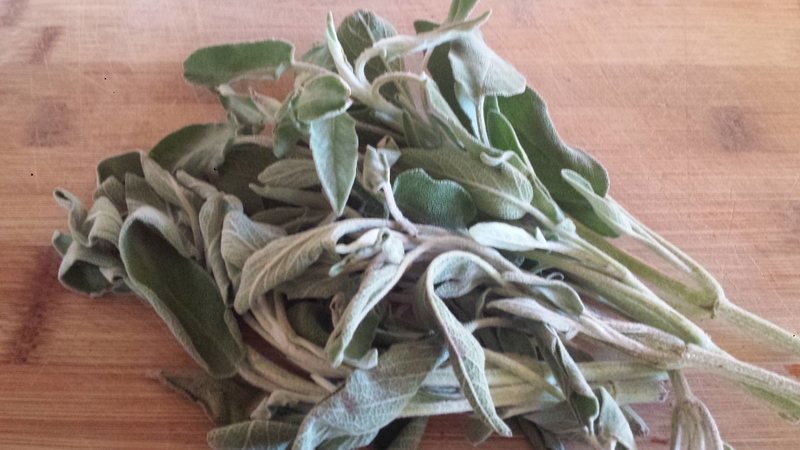 Fry 6–8 sage leaves at a time, depending on how many will fit in your pan uncrowded, until crisp, about 5 seconds. They should still be green and they will crisp as they cool. Transfer with a fork to paper towels and sprinkle generously with coarse salt. Fried sage can be made ahead and will store at room temperature, layered between paper towels to prevent breaking, for 2 or 3 days. Sauté the onion and garlic in the olive oil large pot over medium heat about five minutes, or until the onion is translucent. 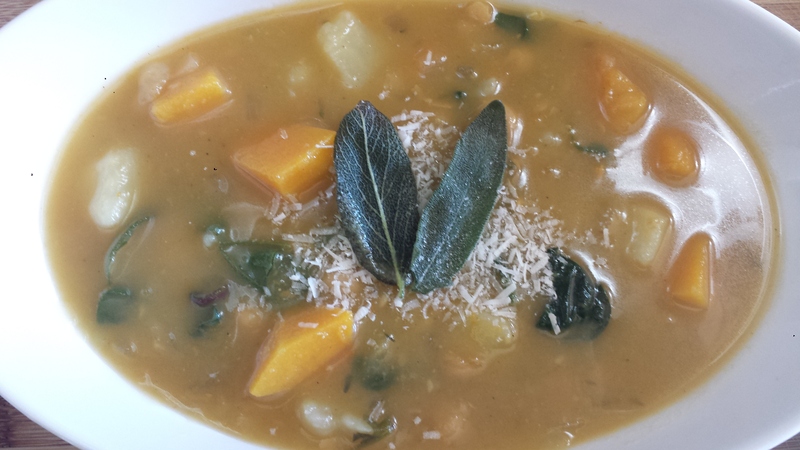 Add the butternut squash, potato, beans, thyme and vegetable broth. Cover and simmer over medium-low heat for 20 to 25 minutes, or until the potatoes and squash are fork tender. Add salt and pepper if needed. For more seasoning, add a pinch or turmeric and/or allspice (optional). Five or ten minutes before serving stir in fresh greens and let wilt, several minutes.